Jose is a Software Engineer and has more than 15 years of experience developing technology for the Stock Markets in Latin America. Back in 2004, he founded 2H Software, a company that is dedicated to providing technology solutions to the financial sector. 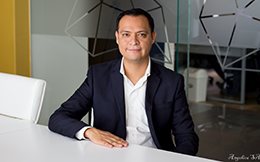 Jose has led the development and maintenance of all the XBRL Taxonomies used in Mexico for submitting filings to the National Baking and Stock Commission and the Mexican Stock Exchange. Also, he has led the development of an XBRL Processor and an XBRL Instance Document Viewer for the web browser. The company founded by Mr. Huizar currently helps more than 5000 companies across Latin America to fulfill their obligations of filing XBRL to the regulators in their own countries and even to the SEC in the United States.